Home Inspirational Printables Productivity Life Doesn't Have To Be Perfect To Be Wonderful- Plus FREE Printable! 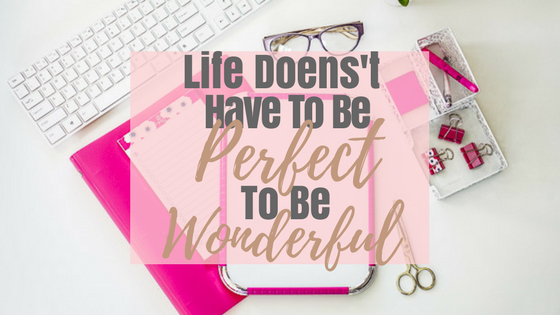 Life Doesn't Have To Be Perfect To Be Wonderful- Plus FREE Printable! Lately, I have submerged myself into a world of life coaches and people claiming to be their "higher selves." Although I aspire to be that person someday; striving to that ultimate destination can be exhausting. Especially when life continues to jab you in the torso. Life isn't perfect and despite the information people put out there to make it seem ideal, sometimes it's not that way at all. I want to challenge you this year to always think positively and to continue to strive to be your higher self. I promise that life will start to change. Having a positive mindset is key, but maintaining that mindset can be very challenging. One thing I'd like to share with you is that life isn't always about the destination, it's about the journey. You have to appreciate the journey in order to reach your full potential. Appreciating what's in front of you is going to make your life's vision and purpose that much more meaningful. Our goals seem to tire us out and overwhelm us when we start to complain about every little thing that's wrong, or every thing that doesn't go our way. By the time we finally get what we desire, we appreciate it a lot less because the journey seemed like it wasn't worth it anyway. 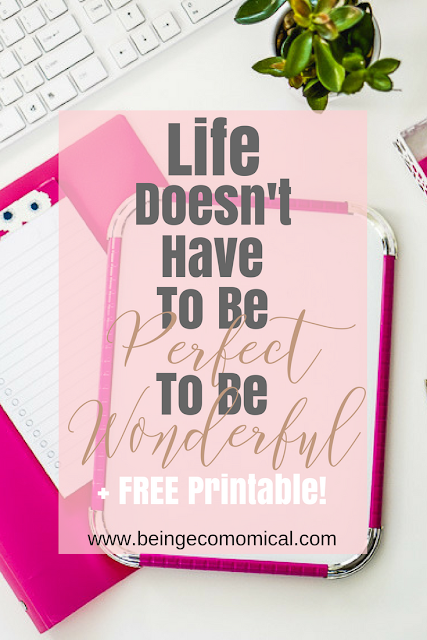 So I wanted to share with you this free printable stating that life doesn't have to be perfect to be wonderful. Your perception is key. Perceive the beautiful things about your life. Hear the laughter around you and decide to be the change you're seeking! We often times try to find change in things, or in other people, but it's only when you decided that things will get better, that they actually start to get better. One of my motto's this year is that "I am whole." Everything that I need and could ever imagine wanting is already apart of ME. Once you completely grab that concept, you'll start to understand that you are abundant and everything you want will start to unfold, if you just believe. You can print this out and simply frame it, to remind yourself of how enjoyable life truly can be!